We offer guided fly fishing trip on the beautiful creeks and rivers around Livingston Montana. Get a Guide! Sweetwater Fly Shop is located on the outskirts of Livingston, Montana, at the entrance to Paradise Valley, beside the world-renowned Yellowstone River. Livingston is the quintessential Montana town with unique shops and eateries, encircled by the stunning, snow-capped Absaroka, Gallatin and Crazy Mountain Ranges. Our home at the edge of paradise provides us easy access to some of the most celebrated and diverse blue-ribbon trout waters in America: From placid Paradise Valley spring creeks—DePuy’s, Armstrong’s, Nelson’s—to the mighty Yellowstone River which tumbles through our back yard. Livingston is also the ideal basecamp for exploring all of southwest Montana. We are 45 minutes from Yellowstone National Park–a beautiful drive, south from our shop, through the majestic Paradise Valley to the Park’s North Gate will lead to the Lamar and Gibbon Rivers as well as hundreds of small streams, lakes and ponds. 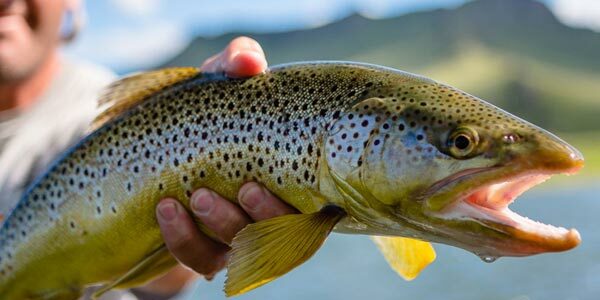 Bozeman, Montana is a half hour away and the famous Madison and Gallatin River trout fisheries are just beyond that. Our professional guides will make your time on the river productive, educational and fun. Learn to Fly Fish - Never too late to start! Getting started in the sport of fly fishing can be intimidating, though it need not be particularly difficult. Here at Sweetwater Fly Shop, we do all we can to make fly fishing accessible to the beginner. And we want to share with you that your staff in the flyshop is terrific, they are everything you want in your retail business, their customer service is A++++. They referred to us by our names, they were eager to help with any question we had (from flies to things to do in town) and all had a great sense of humor! If you’re looking for the ultimate Montana fly fishing experience, then you should hire one of our guides. Whether you want to float a brawling western river, or hike into a small stream, we know just the place and the perfect guide to take you there. Our shop is fully stocked with hundreds of items to make your fishing trip stress-free, successful, and memorable. 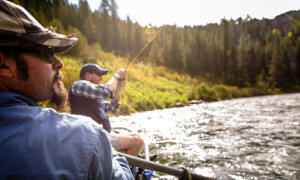 We have all the supplies you need to get outfitted for fly fishing in Montana and abroad. 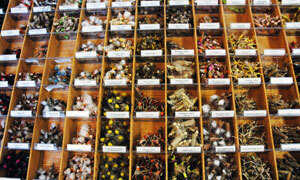 And we may just have the best fly selection in the state. We are currently making our online store better than ever. While it is under construction, stop in our Livingston shop or give us a call for a product you are interested in. If you order a product we have on hand, we always ship the same day.